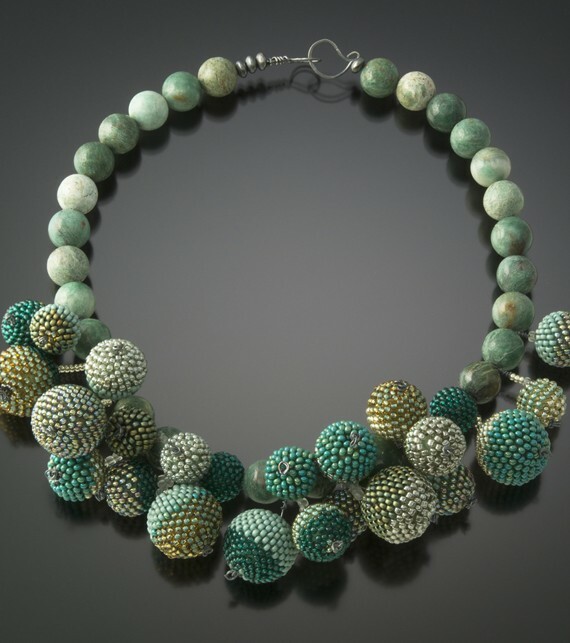 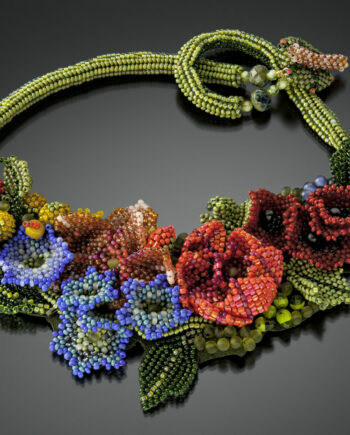 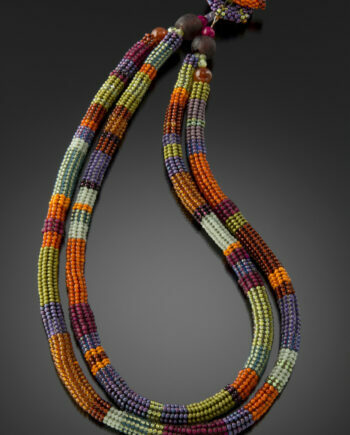 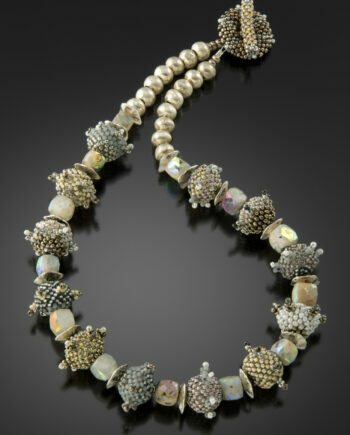 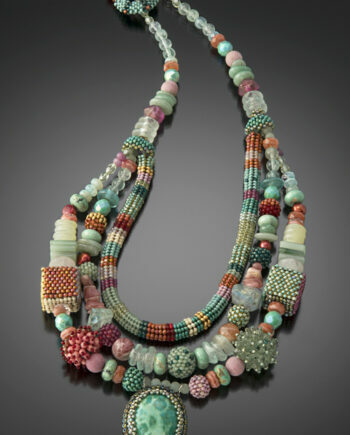 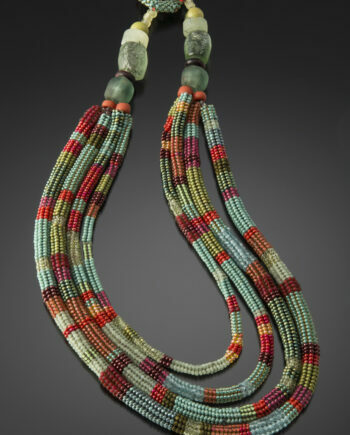 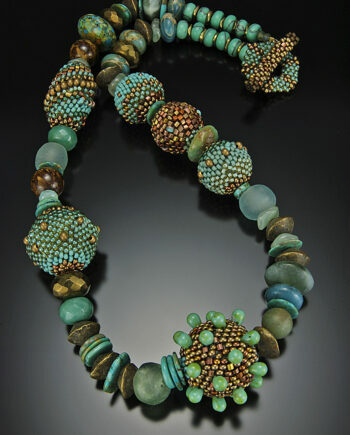 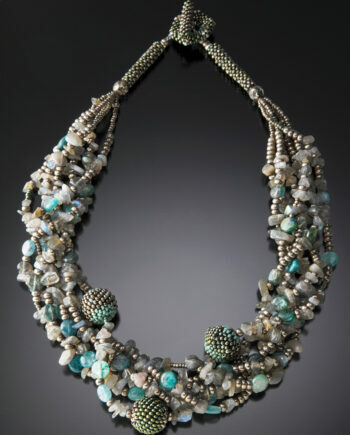 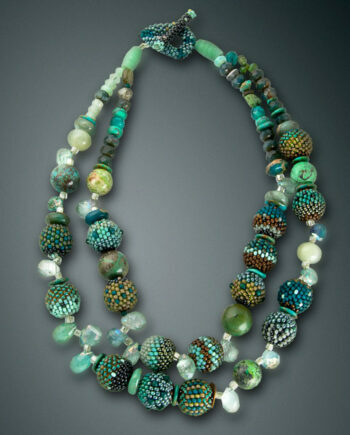 Shades of turquoise and green “berries” cluster gently around the neck. 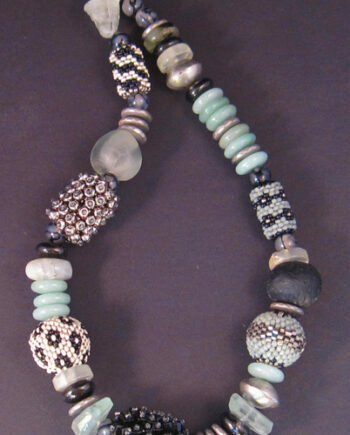 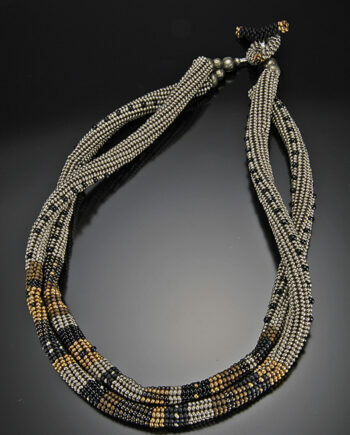 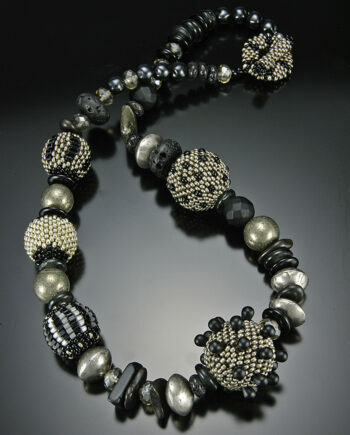 Various sizes of round beaded beads, clustered in an organic way around a wire ring. 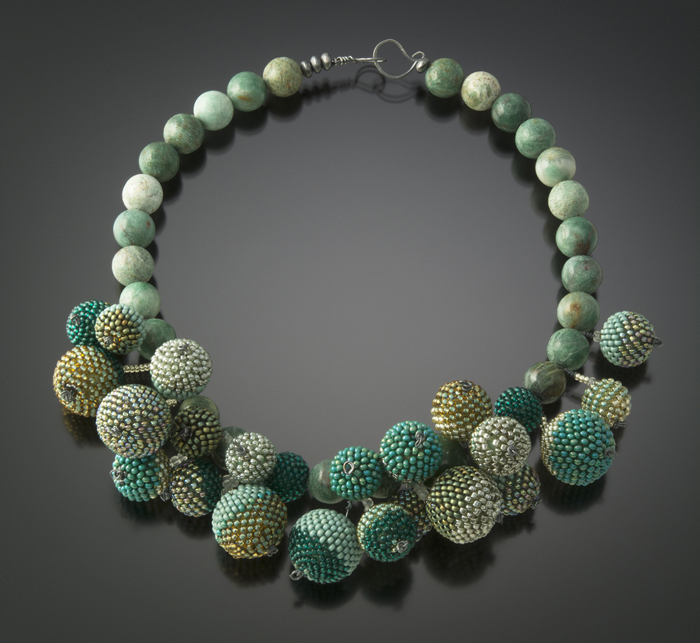 Apatite or Turquoise beads complete the back the necklace which closes with a hand forged oxidized silver closure. 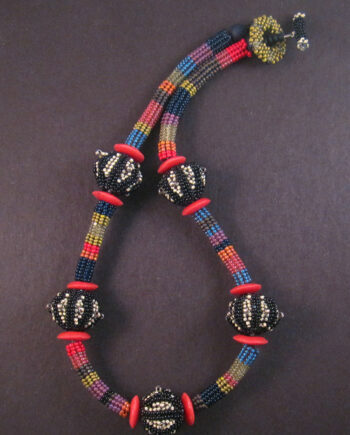 18″ length total.